So far our little homestead has got for all intents and purposes a Nubian, a Sanaan, and four Nigerian Dwarfs. 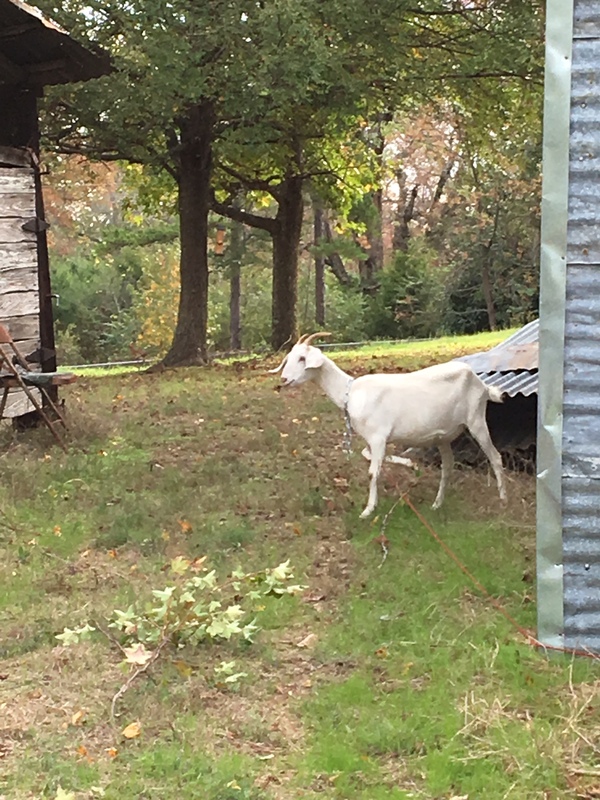 I’ve already started comparisons to see who is going to win the Home Sweet Homestead Goat Prize (who gets to stay and who gets sold). On our homestead, we’re looking at a lot of different things: milk, meat, ease of delivery, ease of care, and the all important temperament. What all that comes down to is who is the best all around goat. You can’t talk about goat milk without someone mentioning the Sanaan. Our Sanaan, Ice Cream, is out of a great producing Sanaan doe, who was a favorite with her owners. The Nubian is also hailed as a great milk producer for a dual purpose (milk and meat) goat. The Nigerian Dwarfs are just that dwarfs, so don’t have any hope of producing the milk that either the Sanaan or the Nubian is going to produce. However, for their size they produce an amazing amount with the average listed right at a quart. Now I don’t know how much milk anyone else is using, but that’s a significant amount for a goat that is never going to be bigger than a medium-sized dog. The Sanaan is never going to be a meat producer. They are too fine boned. However, people have had good luck crossing them with Nubians, so we’ll see. Nubians as a dual purpose goat, are going to dress out a better carcass for the freezer, but what about the Nigerian Dwarfs? 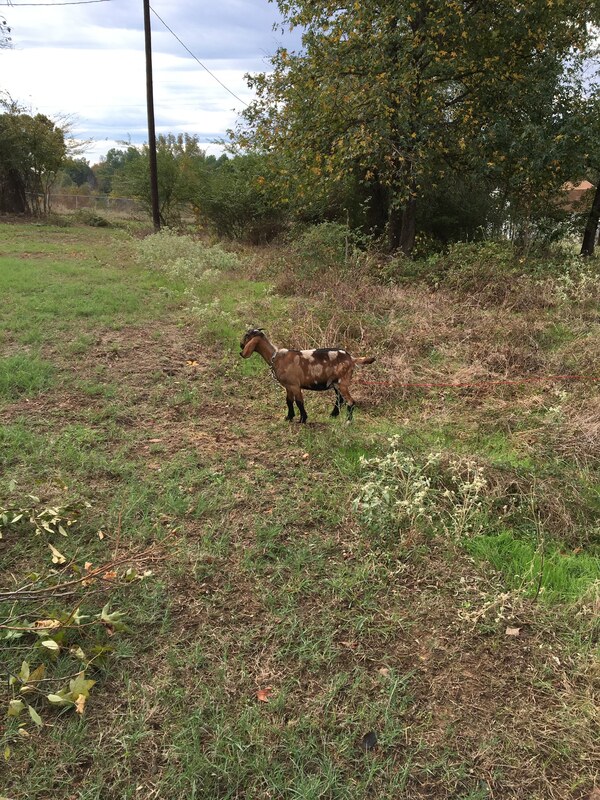 The Nigerian Dwarf was brought to America, according to my research, as a feeder goat for the big cats going to zoos. The sawed off little things are built sturdy and honestly look to me like a miniature version of the Nubian minus the big floppy ears. They also have been known to have as many as 5 (yes, FIVE) babies at once. That’s a lot of meat in the freezer or cash in the pocket if I sell them. I’m a strong believer in the philosophy that if I have to do a lot of L&D (labor and delivery) somebody needs to find a new home. Birthing is the most natural thing in the world and should not involve a lot of effort on my part. That isn’t to say, I won’t help. That’s to say I shouldn’t have to all the time. If a doe constantly needs attention during delivery, she is not the doe for our homestead regardless of all other factors. With no births on the place so far, I’ll wait to talk about this area more. Ah, temperament! How important is temperament? Rain or shine, snow or blistering heat, I’m going to be out there milking before coffee and after a long hard day; temperament is paramount. I do not want to have to wrestle a goat morning and night. So far I’ve only milked my two Nigerian Dwarf does and here’s what I’ve found. Muppet is a witch on the stanchion. She’s very dominate and despite having been milked twice in the past (according to the folks I got her from), she’s not taking to it very well. I’m cutting her some slack, since I just weaned her babies. I figure a week’s grace period is sufficient and she had better show a lot of improvement. She’s a stingy milker (withholds her milk and doesn’t like to let it down), but at least she’s stopped trying to kick over the milk bucket. Off the stanchion she’s a pill, but bearable. Auntie, on their hand, is being milked for the first time ever and has been a gem. Now that she knows the routine, she runs and jumps on the stanchion with a happy little bleat. She stands with her legs braced to make it easy for me to milk her and hasn’t kicked over the milk bucket even once, since she learned what milking is all about (took about a week). Another thing of note is that I don’t have to chase after Auntie, she actually waits at the gate to be let out of her pen so that she can go get on the stanchion. So far, I’m loving the temperament of this Nigerian Dwarf. Chili, my Nubian, is a greedy gut and will do most anything for a mouthful of feed. Yes, I believe in bribery. Works every time! Ice Cream, the Sanaan, had responded to bribery, but she remains timid and well… spazzy. Not my cup of tea. She’s really going to have to get some super high marks in the other categories if she plans on sticking around. Another thing of note is most goats have a rut season. Never having had goats before, I did not know this. One of those little things that NONE of the articles or blogs that I read mentioned. (Yes, I have a rather pissy face as I write this.) This is during the fall and winter months. Hopefully, Chili and Ice Cream made the deadline, since I learned this just as the rut was ending. If not, I’ll have to wait until next fall to get them bred. Nigerian Dwarfs on the other hand, do not have a rut. They can and will breed year round. The thing I like about this is simple; I can have milk year round, stagger my breeding/birthing, and not have a glut of milk at one time of the year. The Nigerian Dwarfs are winning, hands down, so far. The Nubian is in second place, but I haven’t completely outed the Sanaan since we plan on raising pigs (probably next year) and pigs do really well on milk. Ice Cream may well make the cut on milk production for this reason. Stay tuned for future updates and please leave me a comment if you have insight into these or some other breed that might work well for us! Posted by Dare Greatly on March 7, 2016 in H.S.H.